Big companies like to get bigger, and for many big tech companies these days, the clearest path to growth is increasing how much money generates with content services. That’s why Apple launched a whole slew of them last week, and why Google announced a video game platform the week before. Microsoft too has envisioned itself as a rival for your entertainment media dollar. So it sells TV shows, and games, and movies, and until yesterday, books. It’s not selling books anymore, and that’s great. If you were one of the people who heavily invested in Microsoft’s ebook ecosystem, which let you read books via the Microsoft Edge browser, this is probably terrible news. But seriously, there weren’t that many of you. Calm down and buy a Kobo or a Kindle ok? Now for everyone else, let me explain why this is great. It’s because Microsoft, which is culturally becoming a kind of tech underdog compared to Google and Apple, is focusing and recognising that even an enormous tech company with billions of devices in the wild cannot be everywhere and cannot touch every facet of your life. It’s figuring this out just as its competitors buckle down and attempt to go all in. While Microsoft’s announcement doesn’t really explain why it’s getting out of the ebook business, it’s not very hard to make some guesses. All along, some part of Microsoft has envisioned its Surface devices (and partner’s tablets and 2-in-1s) as rivals of the iPad. Amongst its many virtues, the iPad is a solid little ereader. It doesn’t have the best battery life compared to a dedicated ereader, but it’s certainly better than a laptop. Microsoft’s devices, even the Surface Go, just aren’t the same thing. They might look like tablets, but they’re loaded with laptop components, a desktop-optimised Windows operating system, and ultimately, find their best use as traditional computers. 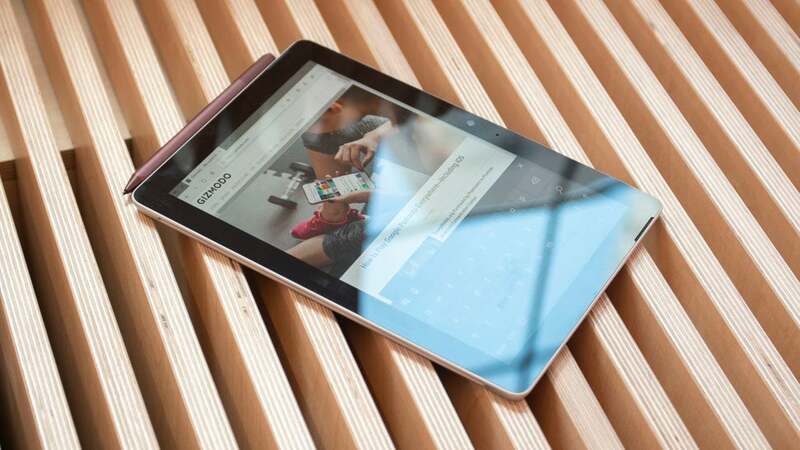 At the same time, reading an ebook or a pdf on a Surface device, or even a very nice 2-in-1 like HP’s Spectre Folio, simply isn’t as pleasant an experience as reading it on an iPad or a phone. In part, this is because Microsoft didn’t create a dedicated ereader application and instead insisted on forcing its Edge browser to do double duty (and, as Windows Central notes, with Edge moving to Chromium ereader support was probably about to become a lot more difficult). Over the years at briefings and events when Microsoft would inevitably get around to the part extolling the browser’s virtues as an ereader, I couldn’t help thinking about how I would never buy a book for the Edge browser when I could buy one from a third party store and manage it myself, or via Amazon, and have it added to my sizable library already on that service. Microsoft’s ebooks efforts were half-hearted and insufficient, so good on the company for moving on. And for the rare person who did buy a book from Microsoft, it’s probably heartening to hear that Microsoft will be refunding every ebook purchase. I don’t think most big tech companies would be as courteous when shuttering services that didn’t pan out, but it’s a great precedent. Microsoft’s eBook store stopped selling and renting books on April 2, 2019, and it’s expected to finalise the shuttering of the service by July 2019.